Bendigo On The Hop, Australia’s best and most unique winter beer festival, will once again pair some of the city’s finest beer venues with Australia’s best independent breweries. Meet and talk to the brewers, experience unique beers brewed just for this event, and be entertained by live music all while you take a leisurely stroll from venue to venue in beautiful, historic Bendigo. Tickets are $65 which includes booking fee, a souvenir glass from Craftd and 22 x 80ml taste tokens, one for each of the 22 breweries appearing at #BOTH18. Tickets for BOTH18 have now sold out. Ticketing services provided by GoTix. Bendigo On The Hop will be held on the 25th of August, running from 11am to 6pm. The festival is spread over 10 venues in the heart of the CBD of Bendigo. The venues are all within a short 1km area though the historic main streets of Bendigo. Hotel Shamrock (upstairs), The Hop Supply Co, Tap House Bendigo and The Metro. Download and view the festival map. When purchasing tickets you will be required to select a starting venue, your 22 sample tokens, souvenir glass and wristband will be waiting for you at your selected starting venue. It is important to head to your selected starting venue first to collect your items, once you collect them you are able to proceed to any venue at your leisure. If you have purchased multiple tickets you will receive all the items for all the tickets, we cannot hold items to be collected by a group member later in the day. Your token lanyard will have 22 tasting tokens included, one token per brewery. Each venue will be hosting two breweries and each brewery will be bringing two beers. One beer will be a brew from their core range, the other a rare or unique beer. You will be able to choose between which of the two beers you would like to try with your sample token. If you have enjoyed your sample or would like to taste the other beer on offer you can purchase a full pour in your souvenir glass. This year we will once again have the fantastic glasses designed by the folks at Craftd, you can check out their range here. We’re teaming up with The Dispensary Bar & Diner to present an Indie Whisky Wedge at this year’s festival! Tickets are an $35 each and include 3 tastings of Australian Indie Whisky while Sam Bastian educates you all about good Aussie whisky. (Note: Tickets are only open to BOTH18 ticket holders). Only 2 classes of 10 people are still available. Being a beer festival we want to make sure everyone is responsible and that there is no drink driving. Train – Coming from Melbourne? Then we recommend you take the train. VLine run trains to Bendigo from Southern Cross Station every hour on Saturdays. Bus – The Bendigo public bus services has several routes into the CBD, for timetable and route information view the timetables here. Parking – If you are driving into the festival there is street and off street parking around the CBD. You can head to Parokpedia for all of Bendigo’s parking options. Uber – Good news! Uber is now available in Bendigo. Bendigo Tourism has a range of accommodation options available close to the festival location. Head to www.bendigotourism.com to book your accommodation. Please treat your tokens like cash. Once you are given your festival items they are your responsibility. If you lose your tokens or souvenir glass throughout the day you can purchase a replacement from the Bendigo Beer Hub, there will be no free replacements of lost items. Located in Bull Street the Bendigo Beer hub is the place to go for any information or questions you may have on the day. 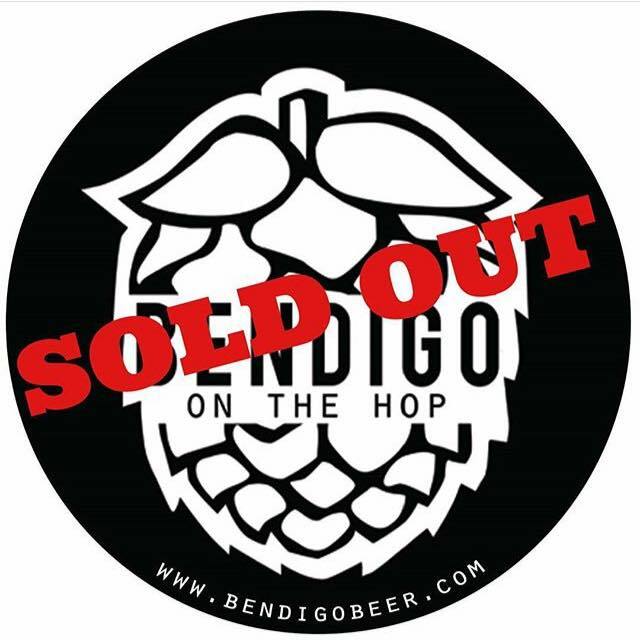 Merchandise from Bendigo On The Hop, the breweries and Bendigo Beer will also be available from the hub. 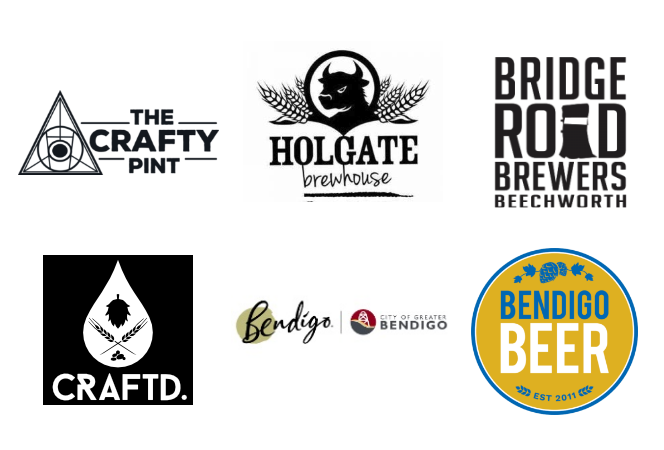 Bendigo On The Hop is a beer festival, the festival beers will be the only alcoholic beverages available for purchase from the venues throughout the day. What we suggest is have an open mind, there will be something light, something dark, something for everyone. Following the festival there will be an after party, there will be live music and of course, more beer. Entry is free for those with a Bendigo On The Hop wristband. Bendigo On The Hop is a winter beer festival, you will be walking outside between venues so please dress appropriately. Patrons are required to follow venue rules, venues have a right to refuse service to anyone in breach of these rules. As a reminder there should be no drinking in the streets between venues. Bendigo has a restriction on drinking in the CBD streets and you may be fined. This is an 18+ event, ID will be required when checking in. Awesome people required. We’re looking for energetic volunteers to help with #BOTH18. Expressions of interest here www.bendigobeer.com/volunteers by 31 July. For a 4hr shift you’ll get: Free ticket to the festival once your shift is done, hang with your favourite rock star brewers, after party VIP room, free festival tshirt. To keep up to date on the latest Bendigo On the Hop news and information follow us on Facebook and Instagram. You can also contact us via Email at bendigobeer@gmail.com. Bendigo Beer is a small but passionate group of locals who believe in better beer. Starting in 2011, Bendigo Beer has helped promote a better drinking culture of preservative free, locally made craft beer. We are an Incorporated Not for Profit that directs funds raised from our events back into the promotion of the craft beer industry.